The Mona Shores Fiddlers performed their sixth show of the 2016 Summer-Fall Tour this past Sunday, September 18, 2016 at The Michigan Irish Music Fest. It was a picture perfect sunny day with just amazing weather, weekend filled withsome truly talented entertainers and the sounds of great Irish Music. The Michigan Irish Music Fest really out did themselves with one of the best MIMF ever!! So before going any further on behalf of all The Fiddlers, we would like to Thank the MIMF for once again including the Fiddlers to the Fest. Its an incredible honor to be able to perform along side these gifted musicians, to be able to play for our community, and to be included such an amazing festival. Thank you, thank you, thank you can not be said enough to be apart of MIMF. 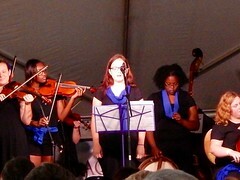 The MIMF is one the BIG highlights of the Fiddlers Summer-Tour but they have still have a couple of dates coming up. The Summer-Fall Tour will wrap up on Saturday, November 19, 2016 at The Mona Shores 15th Annual Fiddle Fest with the Mona Shores Middle Fiddles, Mona Shores Fiddlers, and very special guest CrossBow!!! Details, ticket information, to follow, so watch for our posters, the web page, and our social pages. 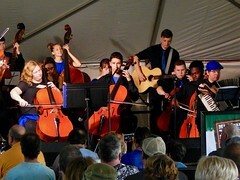 Thank you again to the Michigan Irish Music Fest and look forward to seeing everyone at our 15th Annual Fiddle Fest!